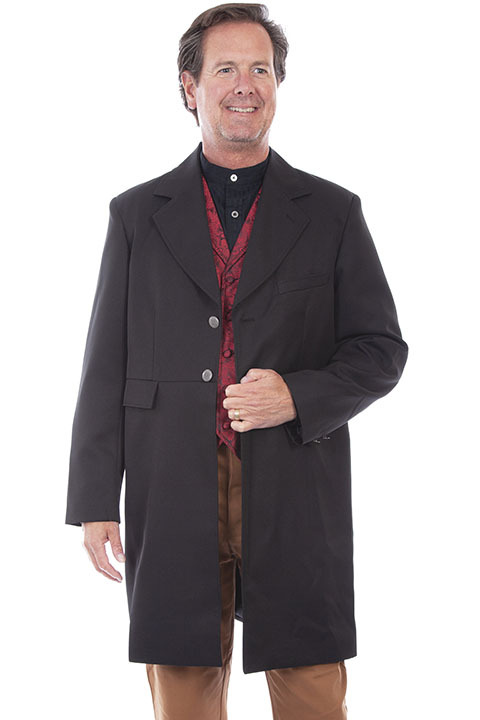 Old west frock coat with authentic tailoring and construction. Features two front flap pockets, left chest pocket and two inside chest pockets. Two stamped metal buttons on back vent as well as on the front and cuffs.